Finally a rotating handle hand pruner that feels right. ARS has not only nailed the ergonomics with the HP-VS8R, but supplied top quality features for professional use. 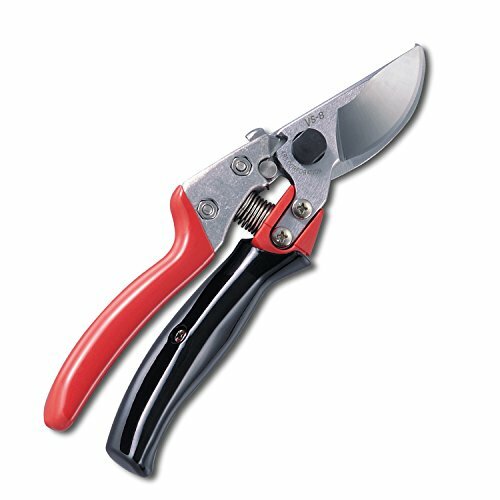 The pruner has a squeeze to open handles, which enable true single hand operation. The blade is made from top quality steel, is hard chrome plated for the best protection against rust and sap and stays sharp a very long time. The spring is a full wire coil for superior durability and anchored so it won't pop out. If you have any questions about this product by ARS, contact us by completing and submitting the form below. If you are looking for a specif part number, please include it with your message.